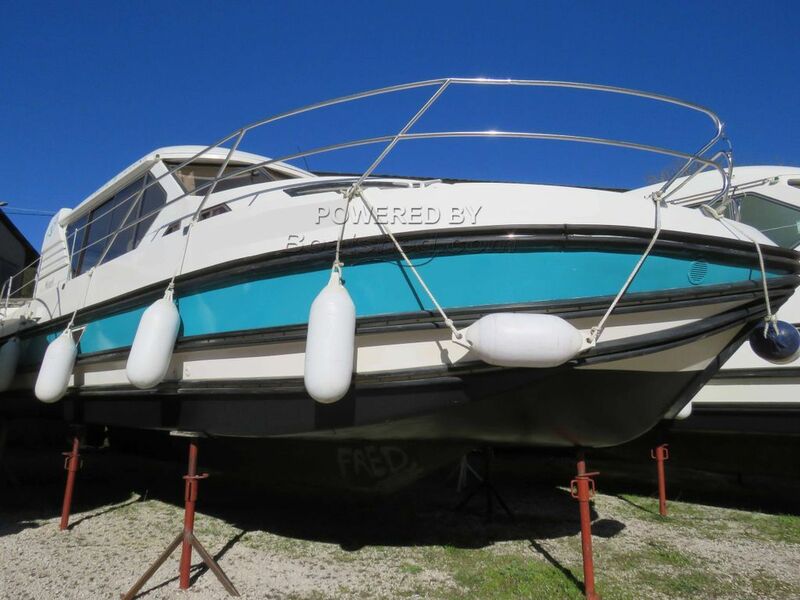 Forward cabin with double berth (140x190) and headroom of 1.78 max. Ex hire boat canal and river cruiser for sale in France. We are pleased to offer this Nicols SEDAN 1000 for sale. Nicols are renowned for combining innovative design and quality construction. With quality trim and equipment the SEDAN 1000 range make ideal boats for refined personal use. Ease of movement, ease of maintenance. Double helm position and a go everywhere cruiser for the inland waterways. Accommodation for 8 persons in 4 double berths. This Nicols Sedan 1000 Ex Hire Cruiser has been personally photographed and viewed by graham WHARMBY of Boatshed Midi Canals. Click here for contact details.